Should you trust your business advisor? I recently saw some publicity for a local enterprise agency that caught my eye (for the wrong reasons) because of a client testimonial they’d used: “their advisors give you honest feedback as to whether or not your idea is a good one”. 1) It’s your business not ours – you’ll have to live with it, not us, so why are we telling you what to do with your life? 2) How do we know if a new business idea really is any good or not? - Look at all the ‘rubbish’ ideas that were rejected by the “gurus” of Dragon’s Den that went on to make a fortune; and history is littered with ideas and inventions that the ‘powers that be’ and recognised purveyors of ‘wisdom’ of the day just didn’t get – as a result we almost never had TV, the jet engine or even photocopiers! You – the entrepreneur, should not always take what you’re told as gospel by a business advisor about if your idea will work or not: it’s your idea, your life, not ours. If you don’t think we ‘get it’, then challenge us, or ask for another advisor; but please don’t abandon your brilliant idea that will change your world and mine just because someone else tells you it’ll never work based on their own personal tastes and prejudices. why are we scared about asking to be paid? Ask most employees what they grumble about most, and ask their employers about most, and it’s likely to be getting their pay cheque on time. Yet when we create new enterprises, we suddenly seem to lose this boldness and capitulate to our customers when they’re late in paying our bills and invoices to them – to the tune of over £62 billion for small businesses!!! So why this change in attitude between being an employee and an employer over money? I have a suspicion it’s about FEAR. We’re frightened that if we appear pushy, our customers won’t come back, and/or even more damningly, our customers start to think “if they’re so desperate for our money, then they must be in trouble, so better take my business elsewhere”. Well, for starters, let’s be more open about talking about money and getting paid – raise it as soon as we can as part of negotiations with customers and clients, be clear about when they want to pay and when you want to be paid from the outset. Negotiate, haggle, agree compromises – after all, we do that already over the price and delivery schedule, so why not the payment terms? Plan the cash-flow: so many businesses fail because they run out of cash before they get paid – I’ve seen it happen, including to a business that was making a £1m+ profit annually (I helped their employees subsequently buy-out the business). Finally – don’t forget the easy stuff: there’s a lot of legislation you can use to support you with your asking to be paid. 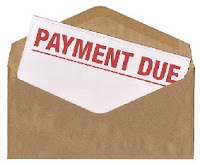 The biggest (and least well known) being the Late Payment Act which says that as a small business, you can charge interest on what you’re owed if its late in being paid. And after all, it’s not you that’s chosen to charge interest: it’s the government and their legislation... so no risk to your personal relationships. I’ve used it a number of times and on each occasion got paid more promptly AND had that client/customer book me for further work. Simple things that with a bit of thinking and planning can make all the different to getting that overdraft reduced and staying in business. Or maybe there’s something about ‘being British’ that means we like being owed more than £62 billion and not being able to cash it?